These stylish chalets are some of the resort's most sought after residences. 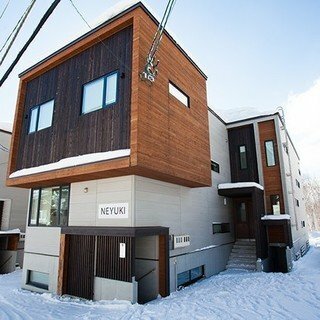 Located only one minute walk from the Hirafu Gondola and providing a spacious layout and contemporary furnishings, they provide powder enthusiasts the perfect choice of accommodation to enjoy the world famous Niseko snow. 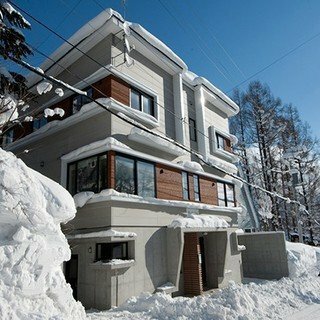 A day in Gondola Chalets can begin with a sleep in, knowing that Niseko's champagne powder is just a 1 minute walk away. Save more time for the slopes and rent your skis/snowboard on-site at Harro's Snowsports benefitting from Harro's years of experience and expertise. Following an adventurous day on the slopes, unwind in a spacious and extremely comfortable living/dining area. 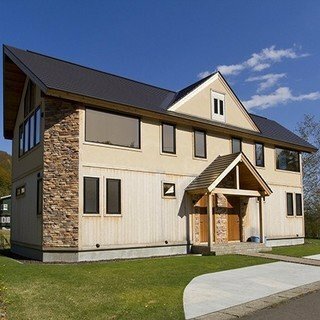 Take a stroll into the centre of the village and check out Niseko's excellent culinary offerings. "Very friendly staff, clean accommodation and very conveniently located. Thank you for all the help. Definitely see you again next season!" "Fantastic townhouse for two families just meters from the Gondola. Plenty of room for kids and adults to spread out. Loved it and will be back." "Excellent location. A few minutes walk to the gondola lift. Great for snowboarding and skiing. House is spacious and great for a family of 8 people. Nice view of the Mountain as well. One thing recommend to add is a First Aid kit. One of our family member got hurt from snowboarding however there wasnt any first aid kit box in the house or reception. " "The Chalets are perfectly positioned for access to the Hirafu Gondola, are well appointed, super comfortable, and an excellent option for small groups. We're already working on renting the same for 2020... Thank you!" "Great location just under the main gondola and plenty of room for eight guests in the apartment. Harro's ski hire at the Gondola Chalet reception could not be more helpful. And the powder snow at Niseko did not disappoint. Looking forward to the new Hanazono development for 2020 "